Any dog can get lost... and some dogs just seem to have a natural proclivity to wander off! In this post, we will explore a new way you can find your lost dog more easily and quickly with a nifty little gizmo called a Bluetooth Tile Mate (tile for dogs)! Currently, the Bluetooth Tile Tracker comes in two styles. One is simply perfect in size and weight for attaching to your dog's collar. Specifically, it's called a "Tile Mate" and Amazon sells them for $22.46 each. In fact, you can get a deep discount on Amazon if you buy a pack of four of them for Check on Amazon, bringing the price per Tile Finder down to about $15 each. ​If you don't have multiple dogs and or don't want to give the extras away for holiday gifts (although they make the perfect give for other dog people! ), you can also use them to find lost or stolen items such as your keys, laptops, cell phones, purses, and backpacks. What Is The Tile For Dogs? The Tile Mate has a thin square (or diamond) shape and it even has a little cutout hole on one of the corners making it easy to attach the tile mate to your dog's collar. Each side is a little under one and one-half inches (37 millimeters precisely) and weighs about one-third of an ounce (9.3 grams precisely). How Does The Tile For Dogs Work? The Tile Tracker uses wireless BLE technology. BLE stands for Bluetooth Low Energy technology. This has become a universal standard way of connecting devices together wirelessly. It uses shortwave radio waves to communicate inside the actual Bluetooth Tile Tracker. Inside, is a Bluetooth transceiver that can both transmit and receive these shortwave radio wave signals with another device. In this case with your smartphone and or tablet. You also get a very visual and easy to use smartphone app that makes it easy to wirelessly connect your smartphone to the Tile for pets you put on your dog's collar. In this way, you can use several features in the app to find your dog if he or she should get lost. There's a locate feature that allows you to see how close you are to your dog if he or she is still within a range of at least 100 feet. The app will even display a map with a marker on it to show the last place your dog was if he or she gets out of range. You can then go to that spot and try the locator feature again. You can also make the Tile for dogs play a tune so you can hear where your canine is. Even is he or she is hiding under a big pile of fall leaves! Perhaps most amazing, you can activate a "LOST" signal if, you can't find your dog with the other features on the Bluetooth Tile Tracker. This will send you an instant alert and an email when another user who has the Tile app running on their device comes within range of your dog! The best part is, they won't even know they triggered this because it's 100 percent anonymous! When this happens, you'll see the approximate location of your dog drawn on a map! You can go to that spot to find your dog and or you can call someone in that vicinity for help. Example, a park ranger, a family member, a friend, or a business person closer to that area. 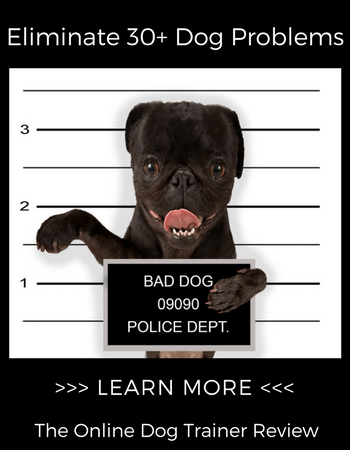 The primary reasons tile for dogs has quickly grown by far the largest global network of any Bluetooth tracking device is that their app is free to download and run! They also encourage their users to get people to download and run the app as it increases the effectiveness of finding lost items (dogs!). So, if you can get some of your neighbors in every direction from your home to download and run the app on their phone, you will very quickly increase your ability to find your dog should he or she run away. You can also ask all your friends on social media to do the same and encourage those at shelters and dog events to encourage this too. Tile Mate For Dog Walkers? You can also chat this idea up with all the dog walkers in your neighborhood and in the park(s) where you walk your dog. It's a mutually beneficial win win so most people will be very interested to hear what you have to say. You can even demon state your little gizmo to them on the spot. You can also talk with postal workers, UPS guys, FEDEX guys, pizza delivery people, and anyone else who travels through your vicinity about adding the app to their smart phones. This is crowed-souring at its best and it truly works! A road trip with your pooch -- what fun! A family vacation without the family dog would be, well.... less enjoyable, to say the least. Dogs enrich our lives in so many ways and there's no better way to spend quality time when them than taking them with us when we travel... but there's a downside.... in these unfamiliar settings, they are much more likely to get lost. 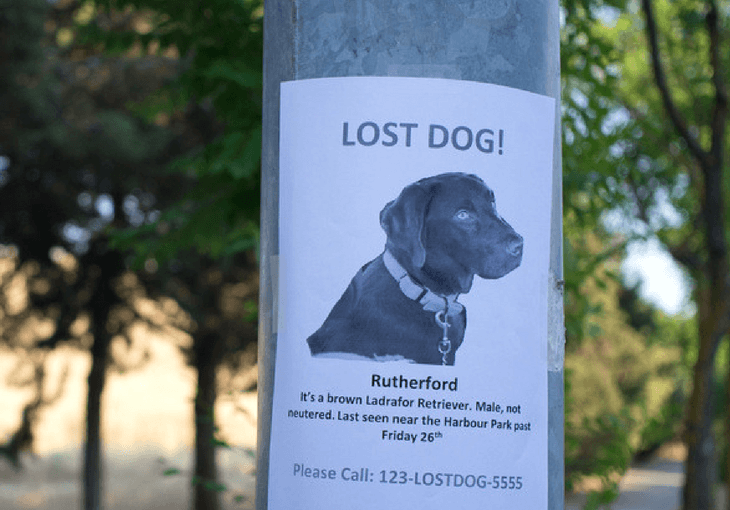 If your dog gets lost away from, it can be much harder to find them. Tile Mate can be a solution to this. Even if you don't want to have a Tile Mate hanging off your dog's collar all the time, you may want to consider adding one when you travel. Independent testing has shown that this Bluetooth tracker works for about a 120 feet radius (they advertise it to 100 feet radius). So, if you stop at a rest stop and your dog scampers off and gets lost, you can whip out your smartphone and track that pooch for about forty yards in every direction and still be within range to use the hot and cold feature to pinpoint where your capering canine has gotten to! If you dog manages to get out of range, you'll likely be in an area when traveling where there is a higher than normal concentration of cell phones connected to the Tile network. You can mark your dog as "LOST" and get an instant alert, complete with a pointer on a map, to hone in on where your dog has gotten to! Taking your dog along on a hike or when camping can amplify the fun many times over. It's fun to watch their canine nose go into overdrive and their tail happily wag as they trot along with you. However, the downside can be that they get so excited by a squirrel, chipmunk, raccoon, rabbit, skunk, deer, or (you can fill in the blank here) that they get so excited they go off on a chase only to get lost in the process. If this happens, you can easily use the green circle locate tool to quickly zero in on which direction your canine has gone, if she or he has turned in another direction, and how far they've gone. Your odds of finding your dog before something bad happens (like a raccoon bites her) goes way up with such a powerful tool! The Bluetooth Tile tracker (Tile Mate For Dogs) is an inexpensive and very effective tool for finding your lost dogs. The Tile global network already has tens of thousands of users and it continues to grow much larger every day. Therefore, it's already a powerful crowd-sourcing technique to find lost dogs and it will only get better over time. You can also increase its power and usefulness by adding more people (for free) to the network, especially in the areas where your dog is more apt to be when they get lost! We want to hear from you in the comments below... do you use the tile for dogs?